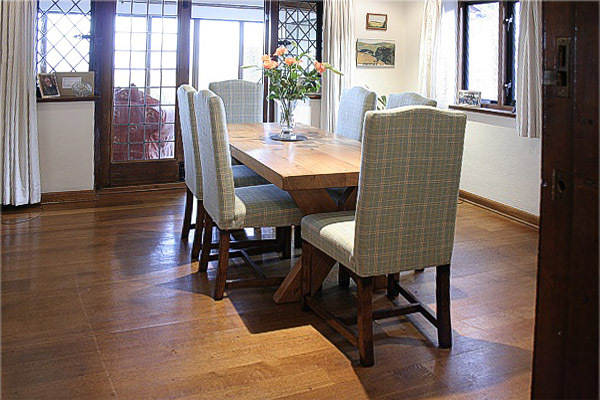 Pictured here, in our clients early 20th century built traditional style Sussex home, are our ever popular, and brilliant value, Berwick upholstered dining chairs. 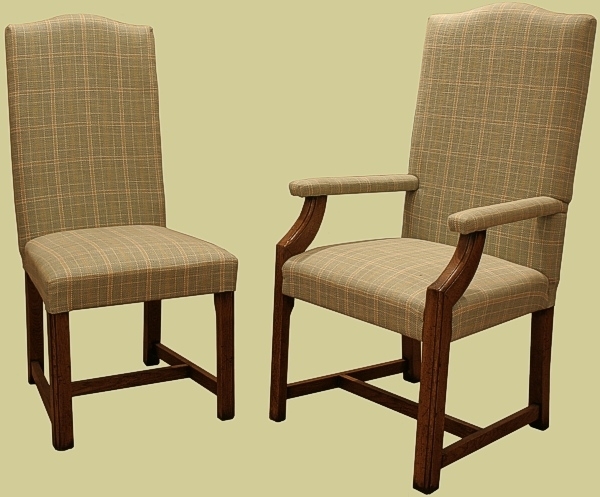 Our client chose the same Colefax and Fowler fabric as our showroom examples. The oak is finished in our Raw Sienna colour.